Clarion Temple of Oneness Transcript, Dated April 15th, 2013. To receive the transcription from Divine Mother and Father God see, http://cosmic22oness.com; to purchase the MP3 Download or participate in the live calls, see http://walkingterrachrista.com/tele-calls/. This transcript is directly related to the Meteor Show of Love that is appearing around the world on April 22nd, 2013. There is a powerful activation occurring within our planet starting on this date. So take a moment to reflect whether you see the meteor shower or not. Blessings, Mel and Mike. My Dearest Ones, what a divine pleasure to be here with each of you. I encompass the dimensional frequencies of the higher realms of your stars of the inter-planets and all the inner galactic of the Christed universes. We come tonight as the Divine Pleasure to be able to share with you our Light in this manner through a voice this is very exciting for each of us. I have with me Beings from the Andromedeans, Beings from the Sirians, Beings from Arcturus and Pleiades and many others you may see. There are many different species here that fill the stage; and we arise your energies and our friends are in the Temple amongst each of you which is the beauty of our energies. Tonight we want to share, we want to share about the upcoming energies of meteor shower of Love. It is our way of expressing that we are one with each of you. This is the way that we can share it in these moments because many are looking for the shifts; they are waiting to see physical appearances because humans have a way of wanting a great celebration and waiting for that ship to land; then all of a sudden all these Beings come out of the ship and welcome them into the ship and take them to different foreign places. Do you know why everyone is so concerned with the inter galactics? Because you are us, you want to be where we are, and you have chosen to be here now. You so want to feel those energies once again and to know that you can communicate so we are showing you a way to do so. I bring to you tonight the 21st Ray of this dimensional frequency of Divine Structure. You see, some of you have already been there and you come down here to this Earth. You think it’s the same and it is not. We send this message to all the Star Seeds that are struggling with their lives now because Earth is not what they wanted to be. They have a hard time existing in this duality and they fight the system. This is occurring because they have the gifts, they have the ability to tune in to channel, to feel the energies, to have amazing dream states, geometric patterns that they can understand, what it is to be a galactic high technical essence. But do you know why so many of you are here? You are here not to show everyone what you know; you are here to be in Oneness. This is the planet that is changing and so many souls in the last twenty or thirty years have decided to incarnate to be part of these energies. So we say to you, let us blend. You must blend the energies so we are going to share with you the essence of how to do that. Do you think that each of us could stand here in front of you in all these planetary systems and agree? Oh, there were times that we could not so I overlight all these essences to come into Oneness which is just like you are communicating with your Spiritual Hierarchy which are the overlighting energies to come into Oneness. I overlight the inner galactic energies so that we can come together. This is our time and what a perfect day to allow these essences to come into creation because, because what is happening on your Earth. The intensity, the thought forms, and the lack of compassion amongst so many and yet others are awakening to that compassion and they don’t understand why it cannot be. You tap into another world of existence and you want that to be your reality. How do you think that changes? It has to change because you are changing. You that are present listening in these moments are the ones that will show how it is done. Not by what you know, not by how you do things, just by being, being that multi-dimensional self that is acquiring within your physical existence. It is just amazing to watch the process that is occurring so know we are going to be infiltrating more often. They say that this meteor shower this month 22nd of April is going to be huge for everyone to see. It is an expression of Oneness; it is expression of fireworks. As the fireworks come down from the higher universes into this sky formation of this Earth, it becomes Oneness. It does not become like “oh my gosh what is going to happen to me”! We must realize that this is the Lights within Lights shinning down upon each of you to help you to remember the part of yourself that is inter galactic and that may have been eons and eons of time ago for you or it may have just been yesterday. It does not matter when because those timelines become very active within your Etheric self so allowing them to come within your memories, into your dreams, and into your thought processes is going to assist you greatly in creating your multi-dimensional self. Our essence is going to be able to overlight many of the dark forces upon this planet from other planetary universes. It is going to assist in bringing in more frequency of Light on a physical basis by a molecular structure. Not just the fact that there are elements stuck in environmental conditions. This is a showing of your planetary structure with all the others coming into Oneness, coming into the frequency of Light that is us together. Don’t we deserve to be with one another? Don’t we deserve to have what we had from the beginning before we came into this creative process of planetary structures when we were all one-spirit group ball of Light? And we just move from place to place; while this is occurring, I ask of you now to look within the Temple up above. The Temple is open as there is no ceiling of the Blue Gold Ray filtering within you and the entire Temple. Let us heal these individuals that are newly upon the Temple of Oneness; let us heal these souls; they may be in a state of confusion because they just don’t know realized what has happened them. They may have just passed over and their spiritual pathway did not allow them to think something like this is possible. This is what you share in this Temple of the Light. That is our expression moving into the totality of complete Oneness. 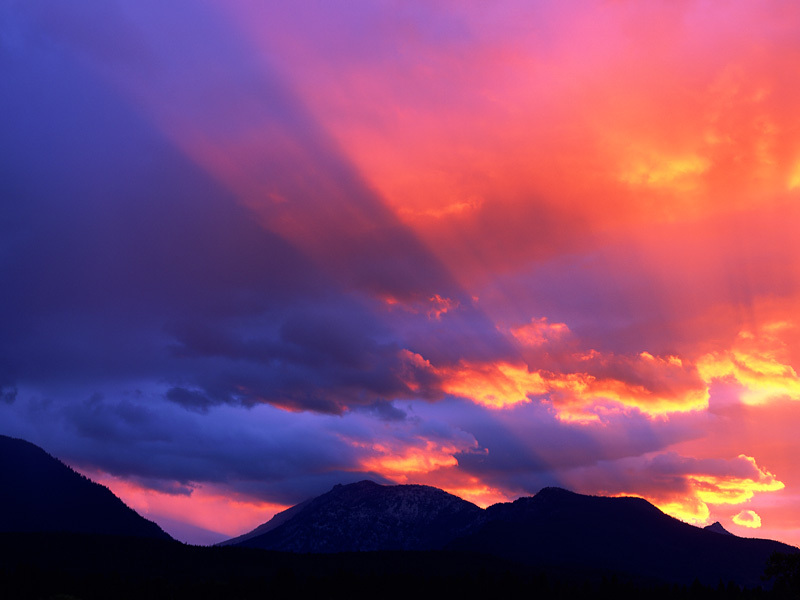 The beauty of these moments is the movement into expressing many facets of Light into the one essence that we are. So tonight this is why we are here, we are here to tell you about this as we are here to be One with You. If you think about what the Blue Gold actually means it represents Divine Structure. What is Divine Structure in the mental aspects of your mind. You may not be able to ascertain what that truly means. If you take yourself out of this body that you are inhabiting and you travel and travel into the heavens up to the 36th dimensional frequency, you will see that there is where I Am and so are You. You just don’t remember it’s not part of your process at this time to stay in that frequency as your body cannot hold those elements, but you can take a little portion of it to experience your totality. So tonight I give you a small, small starlit essence to put into your Heart so that you can tap into these elements of frequency to help you become more grounded. This will help you to know that if you are a Star Seed, you can ground that more. Because what you are bringing to GAIA, is more Light into the planet to help the places of duality not to hold on to the duality yourself as so many Star Seeds have a tendency to do. So arise to the occasion; arise to the star you see. This beautiful star is coming down through the Blue Gold coming into the Temple. Feel it is huge because this star represents each of us; it represents all these beautiful beings that I have here with me tonight. Some of them you may know Ashtar Command, Lord of Sirius, Lord of Arcturus the Andromedeans, Master Valencia, Lady Voltar, all the beautiful beings that have been here before the Sirians of their essence with the Pleidians and all the Councils of Light. They are all here tonight; they are all here to bring in this essence because we are becoming complete together. See the Blue Gold star coming down into the top of the Temple. It is going to filter a portion of its essence into each of your Hearts. Then there is a star glyph that is going to activate within your own Heart Center for you to tap into anytime that you need to feel our assistance, that you need to feel each of us, or you need to remember that part of your multi dimensional self that is coming out. So what does this do? It creates the ability to remember the Divine Being that you are because it is so much forgotten within this Earthplane. So we express this essence unto you, as the One Star becomes many more stars within each of you within this Temple. We will all be Stars within Stars for each other. Oh, feel the essence of the Star within your Heart. It now sparkles. It may be twinkling; just touch it if you like or feel its essence vibrating, vibrating within your Heart. Feel this essence within you vibrating and then touch your Third Eye because there is another aspect of it that is going into your Third Eye. It should allow you to have the ability to intuitively see an expansion of stars in the sky of the Blue Gold. Feel this vision now as it comes down into this Temple into each of you. This vibration will change you. It will allow you to receive your Divine Essence. There is an expansion occurring outside of yourself in this moment. In this expansion it is your Divine Essence now manifest. This all depends upon your Higher Self and how much you can handle within your physical structure allowing your physical structure to receive more of this essence into your being. Right now most of you have received just a small spark ~ it is remembrance, it is an essence of each of us as I the Lord of the Great Bear Star system overlight these energies into each of you and why am I here at this time. This is due because it is time; it is time for us to communicate, it is time for us to understand that when you receive essences with in your sky that there is a message. The message is, “we want you to know we understand and we walk with each of you through this process of your divinity to make it better and better and better”. 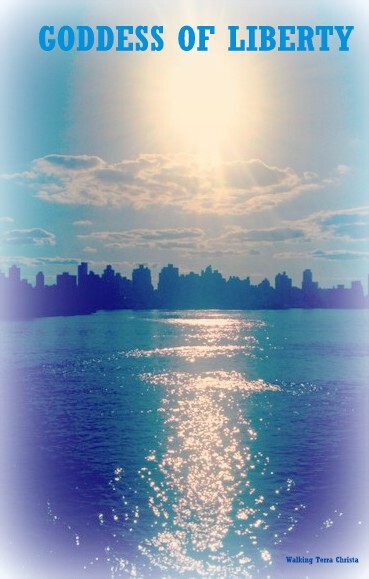 As it is not appropriate not to have a world full of Oneness and this is what we shine to each of you in this moment. Let us take a breath and feel these essences. Just think about it ~ if every human being can feel their own Divine Essence being manifested through their Third Eye and their Heart, how much different this world could be. This is why we are here. We are here to share with you how to do this so that you can share it with others. Right now what you have received through this frequency of Light is a vibrational attunement that is going to allow you to center upon the energies within yourself to make the necessary changes. 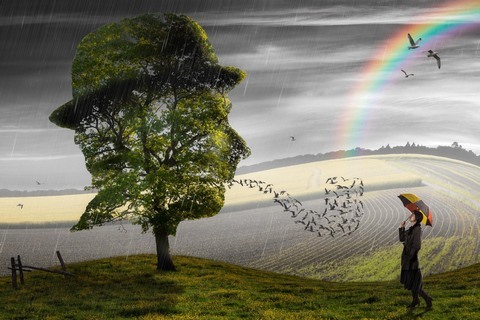 During this period you may feel fluctuations of emotions, thought processes, flashes of remembrance. Whatever you are doing, just remember to tap your Third Eye and your Heart; you must connect to both because the Third Eye can perceive deeply but without the Heart Center being activated within it, it becomes a mental thought, it becomes a lower energy. So you must tap within the Heart Center at the same time alternately and it will help you to reflect in All That You Are. Without doing them together you will be receiving but not in the space of Wholeness that You Are. Let us think right now of the star that you have become; a portion of your Star Essence is being embodied within you. It does not matter if you feel that you are from Pleiades, Arcturus, or any of the other star systems; please know that we are all One together as we were originally. And now we are coming back into that combined correlation that is us, so what you experiencing and what we are experiencing is because we are totality connected especially after this evening. Let us think about the Ones on the Earth that are hurting and send them this star glyph now. With a breath, just breathe and a tap over your Third Eye and your Heart to connect with your own Heart and send this around the globe. Now Gaia has received her star glyph and now she is relaxing as now we are all connected within that Oneness. Feel that energy now being reactivated within you as you now no longer send it out but bring it back in, bring that essence in whenever you connect with someone in this manner. With each of us you must always remember to bring it back into yourself which will create a full connection within our hearts in our essences of this Ray to be fully within each of us representing the Light of the One. Feel the Blue Gold completely circling within the Temple and within each of us and each other. It is my Divine Pleasure to be able to express this essence unto you. I and all the others that are with us feel this essence as we are different species; we are One just as you have many different species on the planet. :et us come into that Oneness together. Now that we are fully One as you look for the meteor shower, feel that essence, feel the sparkles of Light, feel the stars upon stars all combining within each other now you are one of the stars. Even if you don’t see it with your physical eye, experience our essence together. This is not just about the planetary stars in the skies; it is about each of us being those stars within one another. I am deeply honored, deeply, deeply honored to be able to speak here this evening in this beautiful Temple and I do hope that I do return. Thank you for inviting me, thank you for allowing me to be here in your Hearts, within your intuitive minds. I am real ~ we are all real. We are just not with in a structure that you are used to experiencing. So let us come together in that completeness of wholeness that we are together in the frequency of Light. I AM Lord of the Great Bear Star system embracing you with all beings that are part of my essence and in deep love and admiration of this experience of the Oneness of the Light. ©2013 Walking Terra Christa, http://walkingterrachrista.com, Rev. Christine Meleriessee & Mike Hayden, 5th Dimensional Mastery ~ All Rights Reserved. 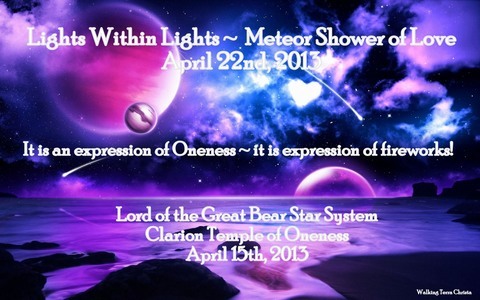 Transcription of the Clarion Temple of Oneness April 1st, 2013. To receive the transcription from Divine Mother and Father God see, http://cosmic22oness.com; to purchase the MP3 Download or participate in the live calls, see http://walkingterrachrista.com/tele-calls/. It is I, Master Kuthumi. It is my pleasure to follow this beautiful visualization and activation that Divine Mother and Divine Father God have imparted unto each of you. Yes, we totally want to feel the regenerative process the elements of allowing the old particles of the Self to be brought into a higher awareness but yet the transformation is quite different then what you have ever experienced before. We are coming into a new phase within this month, and I am so happy that I was able to come to you at this time, because the process of regeneration allows an individual to fully understand that the pathway changes through this acceleration of what you are creating. It is a most important part of the structure in allowing your energies to formulate within your own conditioning process. In order to walk into the fifth dimensional New Earth of Terra Christa, you must have this structure, you must have this balance. It does not mean that any of the previous aspects are not going to be needed because what you have been working on to create this structure is a very major part that sets the stage. You can allow yourself to be more fully grounded so that you are not accessing higher realms of information and frequency within the physical body that you cannot handle. You see as you are growing from the third dimensional being to the fourth into the fifth, it allows for the inner connections of higher frequencies beyond the fifth that goes into the sixth, the seventh, the eight, the ninth, and the tenth but it cannot come all at once. In order to sustain the fifth dimensional body you must be able to accelerate your-selves into that phase which is the sustaining effort so that the fifth dimensional body will be fully grounded. As you can see as you are fully grounded within the third or the fourth, you access higher realms of information and frequencies within you to become more than you are. So this process of your third dimensional self. Let’s look at the physical level of the regeneration of the self and what is occurring within your cellular structures, your memories, or aliments that you have dealt with previously. These are all going to arise as we know representing the timelines. This is another part of the acceleration phase because of the merging of the Etheric body into the physical body. So you are going to be feeling these elements once again in areas that are very weak. This is not an easy process, because you are allowing yourself to transform not only your consciousness and thought processes along with your masculine and feminine energies. The physical body is really taking the brunt of all these higher vibrations that you are accelerating, because within your dream state or your sleep state, you are working three or four times more than you are in your physical state. So that is quite a bit of higher essence coming into your physicality. This is why there are some days that you feel that you just have to sleep, you are not focused, or you feel ill because all those elements have been in your Etheric bodies that represent the timelines that you want to activate. Well, let’s think about the timelines. Say that you were someone else and you were a great spokesperson for a cause. You died and not in a very good manner. You will acquire that death cycle again so you can regenerate it because you need that knowledge. The lifetimes that you don’t need the knowledge activated can be dissipated immediately through the releasement of timelines and then the ones that you need to accept represent your Missing Puzzle Pieces. These are the parts of yourself that have been lost in the ether’s that are in the Akashic Records that is now time for you to fully accept within elements that you need to understand. Now you are tapping into the higher part of your mind and not the lower part of your mind so that you will be able to accept the challenges. It does not mean that you have to go through those painful times again. So what happens to you when you awaken and you are not feeling well. There is pain in part(s) of your body that you thought that you had taken care of. You utilize tools of healing crystals, herbs, elixirs, teachers, essential oils, vibration of water, anything from the Earth and you can dissipate it very quickly. I bring this up right now, because it is so much a part of your structure, so much part of your roots of grounding in your energies as we move towards that fifth dimensional frequency. As you mellow, it becomes much more difficult to accept the higher realms of acceleration within the physical body if it is still holding those dis-eased areas which means it’s not at-ease energy within you. So it’s very, very important what Divine Mother and Divine Father God have brought forth this evening of regenerating ourselves a little bit. We are in a very important phase of this acceleration which, really brings us to why we are here this evening. Wesak this year is going to be extremely powerful. Why is it any differently this year than any other year? It is because we have walked through the golden age. We are living in the Golden Age. We want to ground that energy as much as possible. Wesak is always very, very important for initiates and the path of master of the ascended masters, Light Beings on the pathway who are accelerating themselves. What it means is that we are all going back into the source of God but with the knowledge’s upon those essences so that we can assist humanity and assist this planet. This is what each of you are doing in this moment just by listening and being a part of these energies. This Wesak is going to take individuals to a new level of finding their souls essence parts of themselves that have been lost for eons of time, eons of time so the acceleration phases through these processes of the festival of the Christ which will be next month April 25th we also have the lunar eclipse so we are going to be inundated with another higher frequency of Light. We are sharing this information this evening at this time because we want everyone to be prepared because if we take it by a week-by-week basis of preparing the soul, of preparing the physical body with the changes that could result then you are going to be able to go through so many more doorways that you would have without that vibration if you just wait until the time you are going to feel the effects of this spring equinox all over again depending how you felt previously. So its very important to realize that this week we are sharing this information because you as the future leaders of the New Earth, are the Ones that are stepping into those footsteps of the Ones that have tried to do previously. I am here to assist you with that process. I am here to stand with you and to help you through this month to receive the highest optimal experience of the resurrection. It will be like running through a windstorm and just allowing those aspects of the wind to take you into new levels of awareness but with a breath of fresh air. So we regenerate you in this moment; we are looking at each of you, walking with you, and trying to help you to decide exactly where is your next safe step. This week the step represents regeneration because we have to regenerate the body from what you experienced from the Equinox with the Christ consciousness activations. 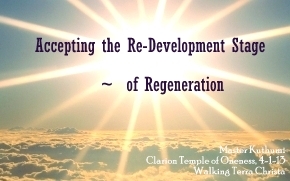 So if we express to you how way to do this is ~ to be in the regeneration stage of redevelopment, you will be more prepared next week to allow the changes to happen within your Being. And this group is very much like the seeds that you plant in the earth. Let us think about that for Wesak; Wesak represents your ascension to a new level of your initiation process just as Lord Buddha, and each of us go deeper and higher into our acceleration phases. This occurs so that we receive more knowledge’s to assist others with the process that is occurring. What would you like to occur for yourself during this Wesak? Let’s make this a goal. Wesak is the month following in May which will occur in sixty days. It is time to really prepare ourselves. What is it that you would want in your life to help you create the pathway, the lifestyle or whatever that may be for you and allow that to be your focus through your Higher Self. Then, your Higher Self guides you in through the initiation levels and the steps that you need to go through to get to that point. Once we get into the stage of resurrection and the Lunar Eclipse, it will blow away like that windstorm we just spoke about. It is just a process so I want to share with you an acceleration to help you incorporate the beauty of Love and Wisdom through this process. In allowing your Heart to accept the challenges you learn that what lies within a new experience, you always must look at the challenges as opportunities for growth. The more knowledge that you receive the better mentor you will be for another. So let us just take a moment and allow this frequency of Light to assist as you think about the regeneration that Divine Mother and Father God have extended to you in this manner. Lets go deeper with that because during this week we want you to feel the growth and the essence. We don’t want you to feel challenged. We want you to feel the beauty of the spring ~ we want you to feel the beauty of the sun allowing the frequency of Grandfather Sun to blend within you and to connect to Gaia to help her to do so. This is going to help accelerate you deeply. So let’s go into a new level that we haven’t fully expressed previously. This is all due because there are changes happening so drastically, and you are more ready to receive this essence. I, as Lord Kuthumi, fully command the essence of Love and Wisdom of the Golden Yellow. I call upon the essence of Grandfather Sun, I call upon the essence of the Great Central Sun of RA, the Sun God and Helios and Vesta to embody within each and every person at this time, each and every soul the element of balance and to receive those essences of the sun into their Crown Chakra. Allow it to flow into their Heart expanding into their Root area and into their limbs as they are regenerating themselves. A new power of Light is occurring within them and within the planet. We call upon the tenth dimension of RA, the Sun God to assist us with this. I ,as Master Kuthumi, AM deeply honored to be the commander of this Light in this moment. Feel the Golden Yellow coming in through the top of the Temple like it’s a ball of Golden Yellow Light. It is small and comes into the center; then its going to expand outwards into each of you. Now feel the burst of the Sun within your Heart as you are the sun. Feel the warmth, feel the ability to fully embrace the movement that is occurring within your structure. It is almost like the depth of your healing is so strong that it does not feel uncomfortable but you feel the regeneration occurring within you as it blows into the ability to be the tree ~ to be the branches ~ to feel yourself expanding to the Sun and being that essence of Light. The windstorm flows within you; it will open up doorways so that old elements will be able to dissipate those timelines that you are not sure of. It will be an automatic flash that just flashes and flashes and flashes. Now feel the regeneration of the Sun. The warmth of the sun of the Golden Yellow that is reflected so much in this Ray of Love and Wisdom. The more that you Love, the more Wisdom that is acknowledged but it must come by allowing the relaxation process to occur within your Being. Now let us now take this spear of the Golden Yellow and extend it to GAIA within this moment. Feel the circumference of the Earth and every living creature of the Earth to feel the pulsation of the Sun ~ of the ability to remove and accept at the same time in a blissful experience. 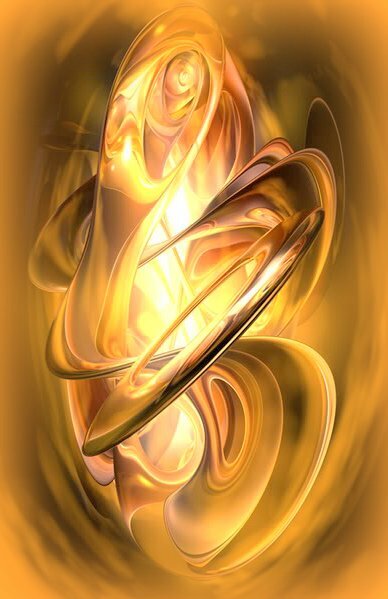 Let it go deeper, deep into the core of Gaia and feel her essence becoming one large ball of Golden Yellow Light. Breathe in deeply ~ now feel your Higher Self into your own Heart Center; feel the expansion that is occurring within your Higher Self and I AM Presence because now you are the totality of your Masculine and Feminine which Helios and Vesta are so representative of which creates leadership; feel it expanding within you. Expand it within your mind. Because now your mind is not your physical mind; it is your Higher Mind as you feel the essence of the pouring of energy and knowledge coming to you. Allow it to center into all parts of your Being and when you are ready, you will be able to communicate it through words in this moment. It is not words, it is just a Beingness as a Master upon the pathway. This is what you must do in order to receive the communication of the words. It does not it come through in the way that you think it is. So set upon this and allow yourself to feel the pulsating energies in and out, in and out as you expand your Mind and your Heart into the totality that you are. Think about this exercise for the next month. Call upon me and I shall be there to assist you, to walk with you, to help you to move through this process. I guarantee you if you do so, the Festival of the Resurrection of the Christ will be the most magnificent experience you have had in a physical existence. It is my Divine pleasure as Master Kuthumi to walk with you, to be with you, to share with you. 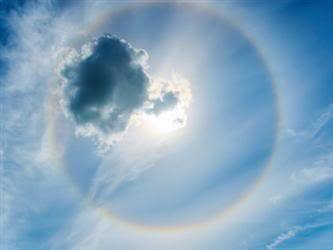 I hold you deeply into my Heart as you allow the expression of your Light to shine upon this Earth. In the Light that we are together, I am your friend. We are One.